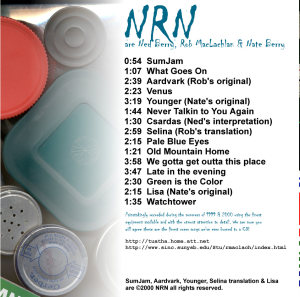 In 1999 and 2000 I was getting together regularly with Ned and Rob McLaughlin on Rob's summer breaks and after a couple summers of doing mostly covers that Rob knew in my smelly basement (and then in a spare bedroom) I decided to put together a CD of some of the stuff we'd done together. We talked about playing out, but it just never happened before Rob was soon off again teaching English around the world. He had a great voice and knew a zillion tunes. 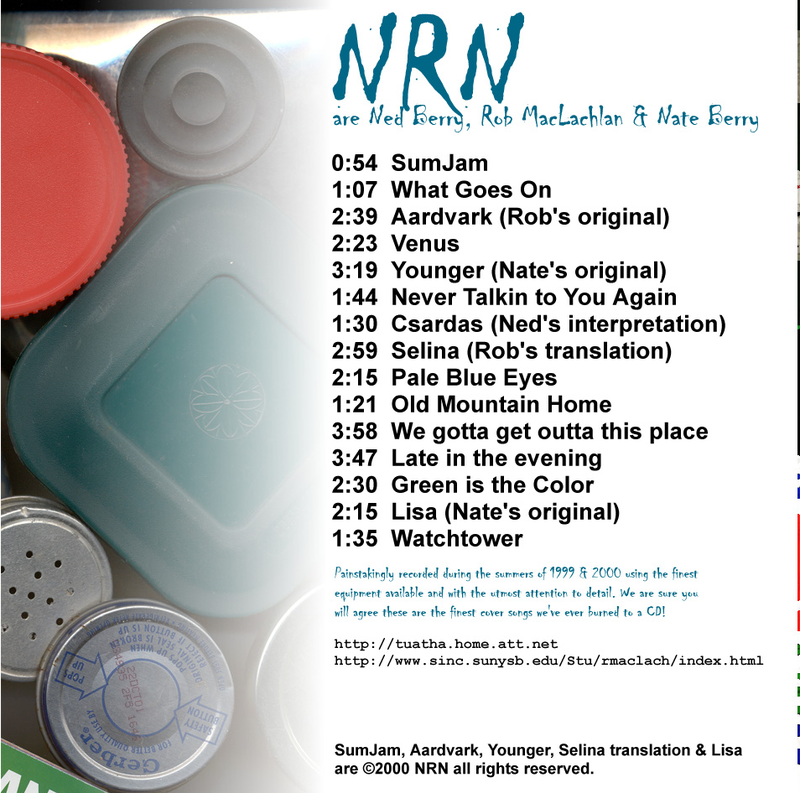 Ned mostly played drums for this line up, though he was coaxed into playing fiddle a few times. Rob and I traded off on guitar and bass. 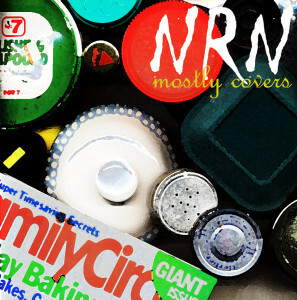 These recordings are definitely better - still not great but it had taken 10 years of messing around to finally start getting some decent recordings. By this time I had been playing at medieval events for some years and had only just decided to take a break from all that and was ready to play some louder stuff for a while (I eventually went back to folk music some 6 years later). There are some originals on this CD which are complete, but most of the songs are just parts of covers we were working on at the time.